At Hackney & Leigh we have been looking after our satisfied clients for over 30 years and have experienced, knowledgeable staff on hand to guide and advise you. During our preliminary discussions with you, we will provide advice on the processes involved, current legal requirements and on any work we feel may be required to your property to make it ready for letting and to achieve the best level of rent. As a private landlord, you will be responsible for ensuring compliance with the many pieces of legislation which apply to let property (eg. Safety Compliance Tests, Tenancy Deposit Scheme, Housing Safety Regulations and Housing Acts). Failure to comply can have serious consequences, both financial and practical, perhaps even leading to an inability to recover possession of your property. Many individual landlords are unaware of the ever increasing amount of legislation, potentially leaving themselves open to prosecution. Your property would usually be let on an ‘Assured Shorthold Tenancy’ (AST) to qualifying applicants for an initial period of six months. After that, and depending on your needs, a new fixed term may be offered, or the tenancy may ‘roll over’ on a monthly basis. As a general rule, we do not let properties to ‘sharers’ or as Houses in Multiple Occupation (HMO’s). ‘Company Lets’ cannot be AST’s and individual agreements are made in those cases. When you’re letting a property it’s vital that you know your tenants are in stable employment (or have other means to pay the rent every month), that they behaved appropriately in their previous tenancy and their references are satisfactory. Not only do we seek personal references but we also work closely with Van Mildert (the UK’s premier Tenant Referencing and Landlord Protection Service) who obtain a variety of references, including a comprehensive credit report, employment and previous landlord references and verified bank statements etc., from which they provide a judgement on whether the tenant is likely to pay the on-going rent on time and whether they are likely to cause problems of any kind. Whatever the prospective tenant’s employment status, Van Mildert verify their income and confirm the terms of their employment. They run a series of thorough credit history checks to establish the prospective tenant’s financial stability and credit worthiness. Court judgements, bankruptcies, regular missed payments or other concerning facts will come to light and the possibility of the tenant using a fraudulent identity will be reduced. Where the tenant has been living in rented accommodation they contact the previous landlord to find out if the rent was always paid on time and whether the property was maintained acceptably. This is often the most important stage of the process and whilst not infallible, it can reveal a whole host of problems which you’d like to know about before committing to a tenancy. It is now illegal for anyone to rent a property in the UK without being able to show that they have a right to rent property in this country, whatever their nationality. It is now the Landlord’s responsibility to carry out the necessary checks, to establish applicants’ eligibility. However, you are permitted to instruct an agent to do them on your behalf and as part of our lettings service we will undertake these checks alongside the credit checks undertaken by our usual Tenant Referencing Service and submit a report to you. A property should be to a satisfactory standard and in good, clean, safe and healthy condition at the start of a tenancy. 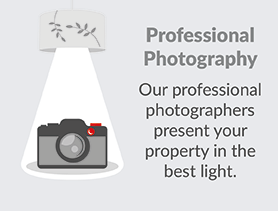 We will prepare a general statement of condition and detailed photographic inventory of the property (carpets, walls, kitchen, fixtures and fittings etc.) which will help prevent disputes at the end of the tenancy. An additional fee is payable for a furnished property and we recommend that contents are kept to a minimum. Any items you value, or are not easily replaced and personal effects should be removed. Items of nominal value only may not be individually listed. Whilst we would always like a property to be in the same condition at the end of a tenancy as it was at the start, it must be remembered that let properties are subject to a ‘fair wear and tear’ clause and will be subjected to the stresses and strains of everyday living. Our ‘Manage & Protect’ and ‘Managed’ Services include 2-3 periodic inspections per year during the course of a tenancy (1 during the initial 6 month tenancy). We respect the fact that during a tenancy the property is the tenant’s home and how they choose to live is their choice. The periodic inspection is not intended as a check of the tidiness of the property. Please note the periodic inspections do not constitute a full inventory check or survey of any kind. At least three full sets of keys to your property are required; two for the tenants use and one for our retention, (if we are to continue as Managing Agents). If you do not have any spare keys, we will have copies made and your account debited with the cost. We do not recommend that Landlords retain part of the property for storage or their own use. This may create a liability for Council Tax, which the local authority may seek to recover from the landlord if the tenant leaves without paying. Our tenancy agreement requires tenants to be responsible for payment of Council Tax but getting it back after the tenant leaves could be difficult. Tenants are responsible for Council Tax and Utilities supplies from the start of the tenancy and new meter readings will be taken. The tenant is also responsible for submitting final readings at the end of the tenancy which we will also check as part of our final inspection for both ‘Let Only’ and ‘Managed’ properties. The suppliers will be contacted and the accounts transferred back into your name. As BT will not accept instructions from a third party, you will need to contact them direct if you wish to retain the telephone line. Please ensure that all water pipes and storage tanks are adequately insulated. A terrestrial television aerial should also be provided and it is your responsibility to provide an appropriate valid licence if a TV is included in the let. These regulations apply to the letting of property and neither landlords nor agents should say anything to mislead applicants by falsely describing properties, concealing any relevant matters or failing to disclose material information which may have a bearing on an applicant’s decision. Both landlords and agents are liable to prosecution for providing false or misleading information. Any property being let requires an ‘Energy Performance Certificate’ (EPC), giving tenants a rating and information on a property’s energy efficiency and environmental impact. It may also show landlords how to improve energy consumption, potentially making it more attractive to prospective tenants. 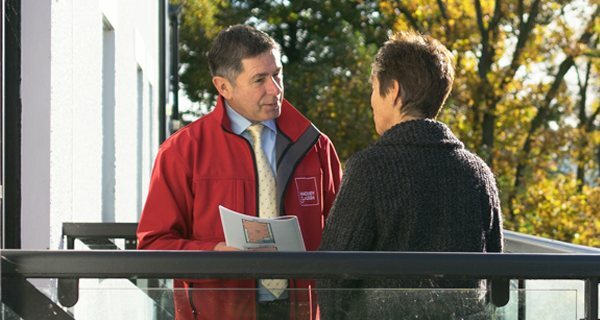 We can arrange for an Energy Assessor to contact you and complete an inspection of the property. They can provide advice on how to improve the property’s rating. A certificate for property is valid for 10 years and costs £72 (including VAT). From April 2018 properties with an EPC rating of ‘F’ or ‘G’ will not be eligible for letting and will require an Exemption certificate. For more information go to: www.direct.gov.uk. If you would like to arrange for the Energy Assessor to visit your property please contact us, alternatively feel free to email using the below form.